In all, the sections now number 67 and the page count has increased from 473 to a whopping 587. While the page count seems formidable and daunting, readers should remember that Jack and Janet did not acquire or perfect the skills in this book overnight and that the information provides the basis for life-long learning. For instance, removing ourselves from an environment where we are surrounded by negative people and influences will likely be an adaptation that we will make over an extended period of time and will always face, unless of course we are on a desert island with a volleyball. Additionally, managing expectations, dealing with feedback, creating a wealth consciousness, speaking with impeccability, practicing gratitude and a host of other ideas will be lifelong endeavors. Just as the answers to the crucial questions will be unique for every reader, the journey through this book will also be unique and I found some sections zoomed past like a speed boat and in other sections I felt like I was paddling a canoe. Some of the information was self-evident, other information provided some wonderful “A-ha” moments; certain ideas have sunk in, and other ideas will need to be revisited numerous times. 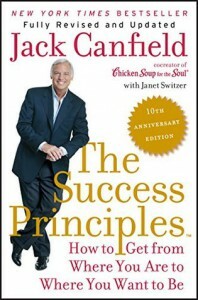 And, thankfully, Jack Canfield and Janet Switzer have provided a massive resource that will give me easy access to some of the information that I need and, in the end, makes the road to success more accessible to everyone. Success is an evolving, lifelong experience and if you want to improve the quality of your life, whether on a personal level, with a loved one, or in business, there are bound to be words of wisdom and tools in “The 10th Anniversary edition of The Success Principles” to help you build a better way. 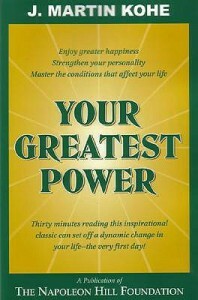 While I prefer a larger sized font over the prescription-label-sized-fonts that some books use, and while I appreciate concise discussions more than rambling, verbose texts, this book, “Your Greatest Power,” has barely “enough” to make it onto my “good” list. Granted, the cover of the book does say, “Thirty minutes reading this inspirational classic….”, so it should come as no surprise that there is not a whole lot of physical ink on the pages; however, calling this book an “Inspirational Classic” is a stretch as far as I’m concerned. Yes, the message it contains is worth reading, worth repeating, and worth applying in your life, so all is not lost; however, at a cost of $12.95 I am inclined to say that people would get more value from many of the other superb books that the Napoleon Hill Foundation offers or from many of the other highly rated, self-help/personal transformation books in this genre. What message does this book contain that still makes the material worth reading? The message is that we always have the power to choose and it is the choices we make that will determine our degree of happiness and success in life. Basically, the book provides some stories and some insights into the fact that NO MATTER WHAT happens to us outside, we control what happens inside. There is really no discussion on how to control what happens inside; the premise is simply that choice is the key to our life. Choose to be happy, choose to be kind, choose to be grateful etc. And, after having read this review, you can choose to buy another book, or not. Just kidding. 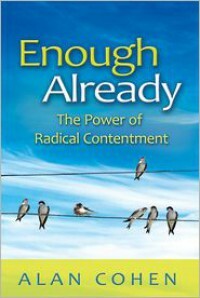 While above summary is completely succinct and accurate, there is a great deal more about “Enough Already” that I want to share because it contains an abundance of compassionate, self-empowering wisdom. Using personal accounts, quotes from both well- known and less-familiar people throughout history and just pure insight into life itself, Alan Cohen reminds us that while we are seeking externally for our bliss we always have the opportunity to find it within. During this discussion the author shares: his formula for manifestation, how obstacles are actually for our benefit, how we need to create an idea in the inner world BEFORE it can manifest in the outer world, that suffering is a result of fighting against life, the destructive nature of guilt and negative emotions, and so much more. And these examples are found in just the first 30 pages! and there is a seventh chapter that presents a series of questions and answers. Of course, these discussions come from a Buddhist perspective; however, the Dalai Lama also seems to use a great deal of common sense when exploring these ideas. Indeed, the Dalai Lama even says that, “…in Buddhism, greater emphasis is given to reason and intelligence than faith.” Having very little knowledge of the Buddhist philosophy, this came as a surprise to me. Furthermore, the discussion around ‘Interdependence, Inter-Connectedness, and the Nature of Reality’ might very much read like a section straight out of a modern textbook in physics rather than Scriptures from hundreds of years ago. While this aforementioned, fifth chapter of the book provided for a challenging read, I also find that my layman’s knowledge of Buddhism was a hindrance when trying to grasp the many precepts that entered into the discussion. 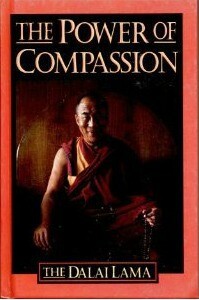 Principles such as: the Four Noble Truths, the Four Powers, the Three Jewels, the Ten Negative Actions etc. are all absolutely foreign to me. I assume, even though I prefer not to make assumptions, that readers who are better versed on Buddhist traditions and texts would derive far more benefit from these specific discussions that I was able to. In general though, I would say that, in spite of my limited knowledge, I felt that there were some profound insights in “The Power of Compassion” and my life will be improved from having read them. This book, “Stop Your Sh*t Shoveling” is perfect proof that you don’t need hundreds of pages of dialogue to make a book useful.At 48 pages in length, Carl Hammerschlag, a world renown psychiatrist and healer, makes his points quickly, directly and, as you have likely guessed from the title of the book, without candy-coating. That being said, Carl also uses substantial does of humor to hammer home his point (pun intended). Of course it is ironic that we can usually recognize the shovelers around us, yet, like vampires, a mirror has a tendency to make them vanish. Therefore, if you are having a hard time recognizing a sh*t shoveler, Carl provides a quick and easy 7-point, self-examination to help you determine how big your shovel is. The overall message behind this book is that while we all have challenges in our lives, they are compounded by us holding onto them and dealing with these issues doesn’t have to be a long, complicated process. As Carl so aptly says, it is about, “putting down the shovels and moving away from the piles.” So, if you’re up to your neck in some stinky stuff and it is piling up faster than you can shovel it, maybe it’s not years of therapy you need, but rather a 48 page book written by Carl Hammerschlag. 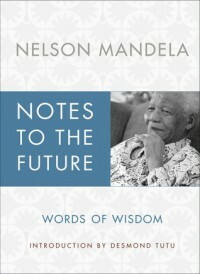 This book, “Notes to the Future” is an authoritative collection of Nelson Mandela’s ‘most inspiring and historically important quotations.’ The reader is provided with wisdom and insights derived from Nelson Mandela’s public speeches, interviews and even his personal letters to friends and family. The quotes are dated from the time before his incarceration, up until the start of the new millennium, and they are arranged into four central themes: “Struggle”; “Victory”; “Wisdom”; “Future”; with these themes then being broken down into categories/sub-themes - generally consisting of between two and seven quotes. In addition to these specific quotes, “Notes to the Future” contains another 300+ quotes, all dated and sourced. 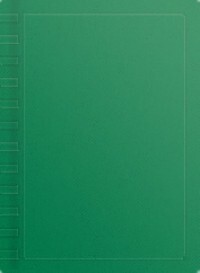 The final few pages of the book are dedicated to Nelson Mandela’s Nobel Peace Prize acceptance speech in 1993 and, just so that the reader is aware, Nelson Mandela’s biographical information is limited to the information gleaned from the quotes themselves and the brief introduction by Desmond Tutu. Having worked with NASA, Fortune 500 CEOs and Olympic athletes, and having written numerous best-selling books on personal achievement, such as “The Psychology of Winning” and “Seeds of Greatness”, it might come as a surprise to some that Denis authored a book titled “Safari to the Soul” as well. “Safari to the Soul” was written long after his initial books on success and I see this book as a culmination, an evolution, of the wisdom Denis gained from those years in the arena of personal development now being expanded to encompass more of a universal, dare I say “spiritual” context. As such, “Safari to the Soul” might well be the most profound book he has written thus far. “Safari to the Soul” was derived from Dennis Waitley’s personal experience while on safari in the Masai Mara in Kenya and he shares his adventure using a combination of journal entries and introspective dialogue. More than just a travel log, Denis takes his experiences from the safari and he interweaves them with the profound realizations that came to him during, and after, his time in Africa. While some of the aforementioned insights might already be familiar to those readers who are interested in the Spiritual/New Age genre, when they are combined with Denis’ personal experience, they make for an engaging read. With a high level of personal disclosure Denis reminds us that personal achievement/success is not a term that can be universally applied and it evolves into different forms as we ourselves evolve. One final note - the book opens up with a substantial amount of detail about the people who run the safari company and their history, and, while it will be useful for those wanting to go there at some point in the future, me being one of them, some people might find it too lengthy. 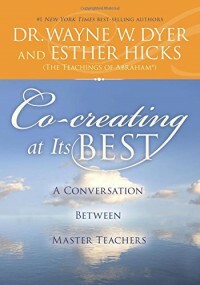 This book, “Co-creating at its Best”, is derived from a live presentation/discussion between Wayne Dyer and Esther Hicks (channeling Abraham). For those that are unfamiliar with Abraham, it is a name given to a group on non-physical entities that Esther Hicks communicates with in order to bring more awareness to humanity and while this book gives a brief introduction to Abraham, this book does not extensively present background information on either Esther or Abraham. Now, I realize that there is a great deal of apprehension when the term ‘channeling’ is used and this review is not intended to debate, for or against, the concept of gathering information from a non-physical source, I am only sharing my views as it relates to the information in this book. The information itself is presented in a simple question-answer format with Wayne Dyer asking the questions and Esther/Abraham providing the answers. This easy to read format, combined with the fact that book is physically small and approximately 160 pages in length, makes for a leisurely read. The structure of the book also enables the reader to skip segments/questions that don’t interest them and yet still be able to follow the general flow of the discussion. Some of the specific questions and topics covered in the discussion include: what is inspiration, can a few people influence the many, dealing with bad news, past regrets, dharma, overcoming obstacles and, for me, the 2 most important concepts; the power of ‘thought momentum’ (essentially the idea that, as we continue on a particular train of thought those thoughts become more powerful and have a greater impact on our lives and it is far easier to change our situation if we become aware of the negative thoughts before they get going too quickly) and the idea that, “ …the Universe doesn’t hear what you say; the Universe hears how you feel.” This is to say that hollow words don’t have anywhere near the power to create that our emotions have. Not being overly familiar Esther/Abraham I can’t say if fans of their material will be happy or not, I personally liked her part of the dialogue and I feel that I benefited from the information. On the other hand, being more familiar with Wayne Dyer’s work and generally a fan of his writing, I can’t say that his part of the dialogue was his best work. Although I have no way of knowing what the directive was for how the questions were supposed to be phrased, I would have preferred questions that didn’t include so much of his personal journey. 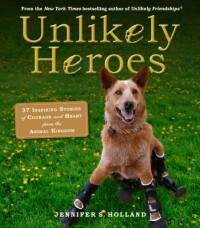 If you’re an animal lover or just enjoy hearing stories to warm your heart, you can’t get a book more appropriate than Jennifer Holland’s latest book, ‘Unlikely Heroes: 37 Inspiring Stories of Courage and Heart from the Animal Kingdom.’ Her other books, are also amazing, but when you combine awesome animals with heroic stories, how can you not be ‘wow-ed’? Along with the dog stories that you might expect, there are many other animals; like a bunny working in a hospital, a Gorilla helping an injured child, hero horses, cows and even mine sniffing rats, all get some well-deserved recognition in this book. Regardless of which animal the story revolves around, all of these encounters are life-affirming and remind us that compassion can transcend all logic and physical bounds. The other wonderful thing about this book, and the other books by this author, is that the stories can be read numerous times and they never lose their impact. This is one of those books that will get you through a day of “Blahs”, and, for less than $14, this book makes an inexpensive gift that will lift the spirits of anyone who receives it. 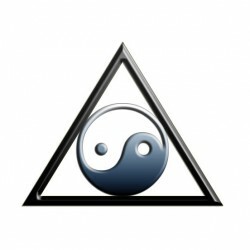 No delusions, just an open mind. 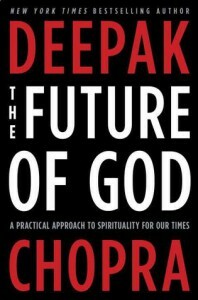 The main reason I like Deepak Chopra’s latest book, “The Future of God” is that it stands as a viable alternative to the “militant atheist’s” bible, “the God delusion.” Indeed, even though Deepak does not make the statement himself (at least I have not read specific words to that effect), it seems to me that “The Future of God” was written as a direct response to the “avowed enemies of faith.” As such, many references are made to the militant atheist tribe and their self-proclaimed conquistadors. Building from there, Deepak incorporates three stages of personal development that one progresses through on the path to God: unbelief, faith and finally knowledge. In other words, “They are stepping-stones from ‘No God’ to ‘Perhaps God’ to ‘God in me.’” The first stage of ‘Unbelief’ is characterized by reason and doubt and individuals, atheists, take the position that the physical is all that there is. The second stage, ‘Faith’, is when individuals hope that God is real and while this can be a positive influence, there is also the negative side of faith which is fanaticism. The third and final stage, ‘Knowledge’, is the stage where we are able to assert unquestioningly to ourselves that God does exist. The transition from stage to stage is not a clear cut, well-defined process, rather it is a gradual progression and it is bi-directional, in that while progress can be made, there will also be times when we can also digress. Woven into the three stages are: numerous references and discussions that have taken place with said militant atheists, statistics about the state of religion and faith, anecdotal stories about the power of faith and various scientific discoveries pertaining to the nature of reality. If one truly looks at the “facts”, the “hard questions” have not been solved by science and to discount a potential cause, simply because it does not fit into one’s belief system, is certainly not science, it is dogma. For those who do not wish to open their eyes, the world will always be dark. So, in the final analysis, an ardent militant atheist would likely not enjoy this book, nor would any religious fundamentalists because, “The Future of God” is written to encourage a deeper exploration of the mystery of existence. As evidenced by the prolific endorsements from some of the world’ s leading professors, in many diverse fields, it is apparent that this latest book from Deepak not only provides readers with a philosophical view of faith, but also one founded on leading edge science - rather than the pseudoscience advocated by the naysayers. If you already know all the answer to the mysteries of life, then you won’t enjoy, or benefit from, this book. If, on the other hand, you feel that God doesn’t have to be an old man with a beard sitting on a cloud, if you feel that there is ‘something more’, if you are curious about the nature of reality and you are open to possibilities, than this could be the book you are looking for. 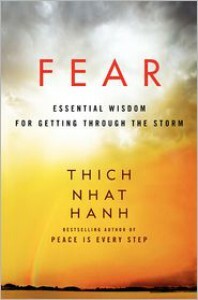 When you pick up Thich Nhat Hanh’s book, ‘Fear’, you immediately get the sense that the words come from a person who is very gentle and whose aim it is to help people overcome the energy draining force known as Fear. Many people spend a great deal of life’s precious resources dwelling on the past or fretting about the future - often which never materializes - instead of living in the present moment, where our true power lies. By giving us the benefit of his compassionate wisdom, Thich Nhat Hanh is empowering people to overcome the limitations that their fears have imposed upon them. In essence, Thich Nhat Hanh is not giving us keys to our prison cell, he is showing us that the door was never locked to begin with. Due to the fact that I enjoy Andrew Matthew’s books so much, and also due to the fact that Andrew’s latest book, “How Life Works” does not come in a hard copy in the North American market, I decided to break with my long-standing resolve of not reading/reviewing E-books. Hey, what good are rules if they aren’t broken… once-in-awhile? And, as often happens when we start to break the rules, it is easier to break subsequent ones; therefore, I am deliberately starting this sentence with ‘and’ when I unabashedly confess that many of Andrew’s cartoons make me laugh my arse off. If I am having a rough day and just need to be uplifted with a good chuckle, I can flip through Andrew’s books and I am bound to have a good belly laugh. In addition to the humourous cartoons, Andrew also has a very special gift of adding amusing, poignant examples that remind us that self-improvement/empowerment doesn’t have to be serious business. Many books that have been written in this genre take on a very stern tone that can impart the belief that personal development requires struggle; whereas, Andrew’s demeanor is light-hearted and this makes personal growth more enticing. I believe that by taking powerful, life-changing concepts about the nature of our reality, the power of thought, the need to love ourselves, the importance of feeling in the process of manifestation, how obstacles can actually be gifts etc., Andrew is able to share a mental meal that is a lot more palatable than fire and brimstone. For those of you that are familiar with the smiling Buddha statue, I think the Buddha is smiling because he knew what Andrew Matthews knows - that the secret of life is to enjoy it and, even when things aren’t as we want them to be, we have a choice in how we react. It’s either that, or the Buddha is smiling because he just read one of Andrew’s books. Serious fun. 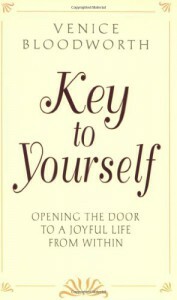 I had never heard of Dr. Bloodworth until having stumbled upon, or perhaps I was led to?, “Key to Yourself” and after recently having read several less than stellar books in this genre, I was very pleasantly surprised with “Key to Yourself.” Although her name may not be as recognized as Ernest Holmes, Joseph Murphy , or Neville Goddard, Dr. Venice J. Bloodworth has produced a very readable and empowering book. If humans do create their existence in this “workshop of the mind” then, “The greatest power man has on earth is the power to think” and unfortunately it can also be stated that, “All people think, the tragedy of life is that so few of us think creatively or constructively; so few recognize the fact that thought is a creative force”, and this latter belief is precisely what this book is intended to overcome. Thinking in this manner, Dr. Bloodworth herself was able to discard her eye glasses as she changed her beliefs about her failing eyesight and she used this “Spiritual Psychology” in her humanitarian work to empower people from all walks of life - from prison inmates to school children. By showing people that we can think ourselves into being happier, more prosperous and healthier, Venice Bloodworth has given people one more key to unlocking the power within. 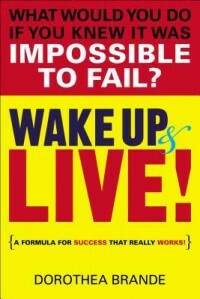 As I mentioned in my reviewer’s description, I generally only post reviews for books that I rate as three stars or higher, and this book, “Wake up and Live!”, by Dorothea Brande, barely made it into the three star designation. This is not to say that the book had absolutely nothing to offer, it’s just that I generally did not find this book to be an enjoyable read, nor did I find a plethora of useful information contained within its pages. The initial four chapters, the first third of the book, deal specifically with failure: why we fail, why we have the will to fail, and the rewards of failure. It is the author’s contention that, “Absurd as it may seem at first consideration that anyone would solemnly enter into even and unconscious conspiracy to fail, it is a matter of observation that there is hardly one person in 100 who does not, in some fashion, deliberately cripple and thwart themselves.” And, while I have no information to prove or disprove this statistic, I do know that Dorothea Brande uses the first 38 pages of “Wake up and Live!” to redundantly advocate her position and this made for tedious reading. For anyone wanting some assistance on how to incorporate some of these concepts into their lives, one of the final chapters is dedicated to exercises referred to as the, “Twelve Disciplines.” While these exercises themselves are not outlandish or extreme, and while they might prove enjoyable/worthwhile for some readers, I would surmise that a number of the activities are already familiar to those people interested in personal development. In the final analysis, I feel that I did derive some benefit from the words shared by Dorothea Brande in “Wake up and Live!”; however, based on the gift of hindsight, I would say that the time reading this book could have been better spent reading one of the many other books that I have waiting, unopened, on my bookshelf. I came across “Science of Mind”, by Heather Buckley, at the hospice thrift store and it was only after I started to write this review that I realized how obscure this book seems to be. Many are familiar with, “The Science of Mind” by Ernest Holmes, which I have yet to read, so I cannot make any comparisons between the two books other than to say that Heather Buckley does mention on the back cover that she “…has made this book the most meaningful primer to Science of Mind in print today…” and her 143 page book was published in 1970 while Ernest’s book, of almost 700 pages, was originally published in 1938. In accordance with our pre-conceived notions, when the idea that 'we reap as we sow' benefits us we tend to believe it; however, when the results are less than, or even contrary to, our desires, we have a tendency to dismiss this idea. The key point is to remember that, “Universal law is. It is neither good nor evil. Man can use it either way.” While this may be frustrating when we observe the negative consequences of our thoughts, it is perhaps more important to remember that this same fact is what empowers us to make a positive changes we wish to see in ourselves and in the world. While “Science of Mind” is a little more obscure and harder to come by then many of the other books in the genre, in the event that you do come across a copy, I would wholeheartedly suggest obtaining it. While there is no ISBN mentioned in the book, Amazon does have an ASIN for it: B0006C5F6G and the name of the publisher is Sherbourne Press Inc., located in Los Angeles, California. From the very beginning of ‘E-cubed’, literally the first page of the first chapter, the reader gets the distinct impression that this book will be a lot of fun to read and it will certainly turn our “static” views of the world, indeed the very way we see the world, on its head (no, I won’t say specifically what the author, Pam Grout, does - that would spoil the fun). 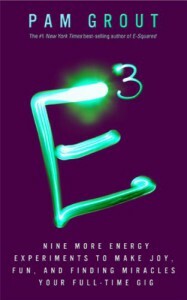 In ‘E-cubed’ Pam Grout continues from her previous book, ‘E- squared’ with “..nine new experiments and more tips on how to keep the gates of the world’s largess and abundance wide-open..” The experiments are easily understood, simple to implement and won’t cost the reader a thing, other than the loss of old belief systems. The central idea behind all of the experiments is to demonstrate that our traditional views and beliefs systems can be very limiting and by expanding our awareness into the quantum field, or the field of potentiality (abbreviated as FP in the book), we can make use of latent, universal powers to help create a better reality for ourselves and for the world as a whole. When we recognize “The fact that your thoughts are energy waves being broadcast out into this giant field of infinite potentiality is something you should be aware of and deploying on a moment-by-moment basis” we can break free from the traditional ‘memes’ in which we have predominantly lived our lives. For those that are not aware, dictionaries define a ‘meme’ as, “An element of a culture or system of behavior that may be considered to be passed from one individual to another by nongenetic means, especially imitation” or “An idea, behavior, style, or usage that spreads from person to person within a culture.” The nine memes that are discussed in E-cubed are then associated with the nine experiments (funny how that worked =;0) and the reader is encouraged to see that our reality can actually change when we overcome our memes. Regardless of the results we obtain from each individual experiment, and judging from the huge success of the experiments from the first book I expect the positive responses from readers of this book will also be equally amazing, my main take-away from this book is that we don’t have to stay victims of our past or be limited by our social programming. By moving from the conditioned memes to ‘Worldview 2.0’, as Pam refers to it, we start to realize our real potential.